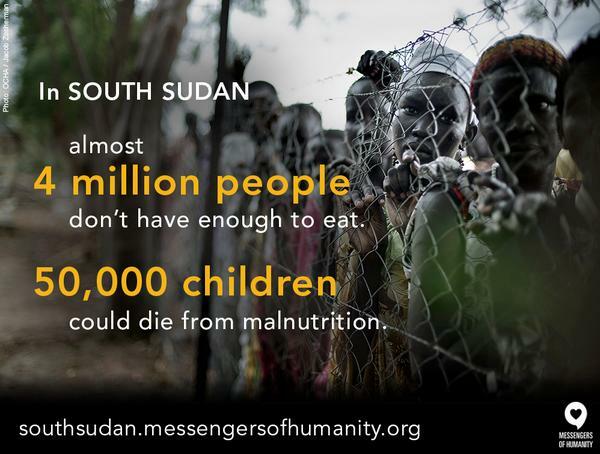 South Sudan is facing a real and immediate hunger crisis. The United Nations reports that less than half of necessary funding has been donated for this emergency. Our help is desperately needed. Stop Hunger Now has been working in South Sudan for years, and continues to partner with Dr. Jill Seaman and others to make a difference in the lives of thousands. We need your help to do more. Visit our website to learn how we can work together to save the lives of these children. This entry was posted in Facts & Statistics, Hunger & Poverty, News & Views and tagged children, crisis, disaster, Dr. Jill Seaman, emergency, food, hunger, malnutrition, South Sudan, Stop Hunger Now, United Nations on September 16, 2014 by Ray Buchanan.